Queens Oaks is the best value in real estate in Charlotte today. It offers the best location in Myers Park-one that allows you to walk or ride your bike on beautiful tree-lined streets. And you're just minutes away from Uptown, I-277, fine restaurants, major shopping, and the hospitals. Queens Oaks offers an attractive lobby, Oak Room on the main level for building and private parties, secure entry, underground parking, pool and picnic/grilling area on a gorgeous green 4-acre campus and the quiet privacy afforded by a steel and concrete building. 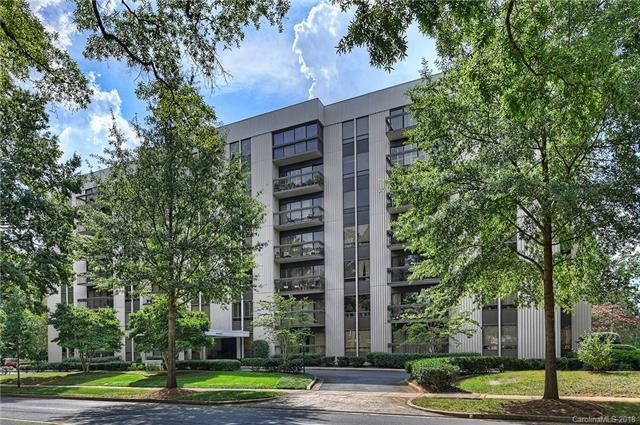 This beautifully maintained unit features hardwood floors throughout (except for the two ceramic tile full baths), updated Kitchen, renovated baths, built-ins, a beautiful new paint job, and more!